Ratalaika Games and SnoutUp Games have announced that Iron Snout will release on Nintendo Switch this week, promising fast-paced bacon-flavored combat. No longer wanting to build brick houses to protect them from wolves, Iron Snout’s star piglet has learned martial arts to survive in a wolf-eat-pig world. That means in this button-mashing beat ’em up, bacon is off the menu for good. 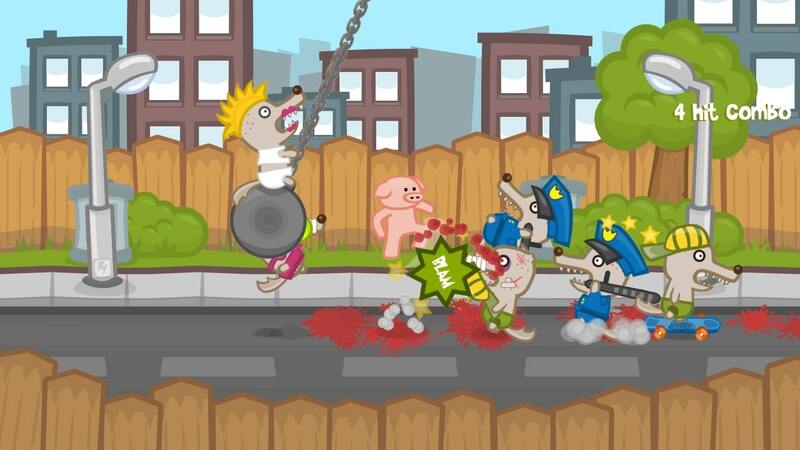 You will fend off wolves dressed as police offers, others that wield chainsaws, and more that ride wrecking balls. Iron Snout will release on the Nintendo eShop for Nintendo Switch worldwide on April 18th, priced at €4.99 ($4.99).